I am Jack Byno and I have been a traffic ticket defense lawyer in Reno, Texas and all of Parker County since 1994 . The attorneys of Jack Byno & Associates represent clients with lift traffic warrants, speeding tickets, CDL violations, and defend driver's license suspension hearings . For more information about getting help with a Reno, Texas traffic ticket contact me . If you have received a speeding ticket in Parker County, Texas you may want to hire an attorney to represent you. If you retain Jack Byno & Associates, our lawyers will appear in the Reno Municipal Court for you and work out the best deal we can on your speeding ticket . Typically, this means getting you probation. The terms of probation are simple, pay your court fees on time, do not get any other tickets while on probation, and if you are under 25 you must take a defensive driving class. Contact me to see if you qualify for the deferred adjudication on your Reno speeding ticket. If you have traffic warrants in Reno, Texas the attorneys of Jack Byno & Associates can post bond and lift them. If you have been contacted by the Reno Police Department regarding your traffic warrants , it is time to take action. The City of Reno actively looks for people with traffic warrants. If you retain the services of our lawyers, we will post bond and plea your case to the best deal we can make. Contact me to lift your Reno traffic warrant before the statewide warrant roundup catches up with you. Did you get a speeding ticket in Reno, Texas? Do you have a commercial driver's license ? If yes, you are a professional driver. The lawyers of Jack Byno & Associates know that your job demands that you keep a clean record. We cannot make any promises or guarantees to the outcome of a case, but we have the experience to do our best to help you. Contact an attorney to discuss your Reno trucking and CDL traffic tickets. I have been assisting clients with their Parker County speeding tickets since 1994. If you have a Reno traffic ticket or warrant contact me today . In most cases, I can plead your case to a probation. Assuming you qualify for the probation and successfully complete it, the ticket will not appear on your driving record. Unfortunately, CDL holders are not eligible for probation. 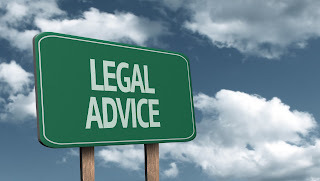 If need be, our attorneys can also assist you with driver's license suspension hearings.